Can we attempt to diagnose the state of contemporary tapestry based on the works that I have selected? Is the name World Tapestry Now appropriate? Only partly. Could anyone form an opinion about the state of this discipline on a global scale without the participation of works by artists from Korea, Japan and China? Of course one can, but the picture would not be full. What impact will today’s and tomorrow’s state of the world have on the creators and recipients of the textile medium? Let’s look carefully now. Symptoms of rising are already visible here and there. Can they also be seen in this presentation? I’m starting to write this short text on the first day of (our) new year. We have already given and received New Year’s wishes. It is time to try to make them come true. 1. Let’s have more optimism! After years of declining interest in textiles in interiors and in galleries, there are grounds for stating that textiles are once again liked, appreciated, sought after and admired. The confirmation of this observation is found in the most important contemporary art shows in Europe, as well as in the formation of New York Textile Month, initiated by Li Edelkoort. As a university professor, I clearly feel a change in attitudes and increased interest among students in techniques originating from the structure, methods of decorating and finishing of textiles. A similar phenomenon was taking place when I started my studies. But nothing can ever happen twice in the same way. I compare my observations from ATB 5 with the current show and see some stabilization, if not to say, stagnation. Both in the form and content of the work. Perhaps this is due to the presence of the term “Tapestry” in the name of the exhibition. In spite of encouragement from the organizers to treat the term with openness to modifications, the vast majority of submitted applications strictly respected the technical definition of tapestry. This approach to contemporary art, with all respect for the authors, does not keep up with the dynamics of time. It is worth realizing that the great innovations that took place during the early editions of the Lausanne Biennale resulted from the opposition to the rules set by the organizer. World Tapestry Now gives testimony to the high artistic and technical level of the submitted works, but at the same time it confirms the status quo achieved quite a long time ago. 3. Do not be afraid to take a step backwards! Development, progress, evolution. Today, these concepts, in the case of tapestry, refer more to technical issues than iconographic. The methods of image recording and processing are subject to progress and sometimes this is reflected in woven pictures. After all, we can weave everything, there is only a question – what for? 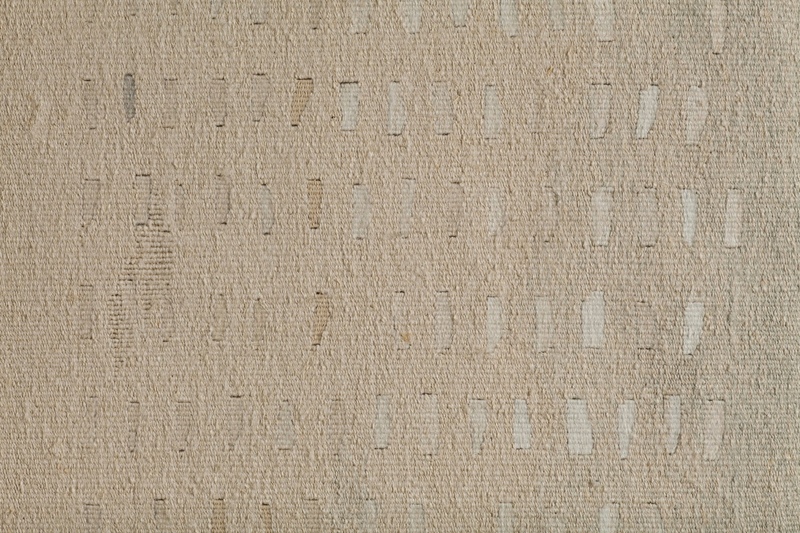 What determines the autonomy of the woven medium is a special mutual relationship between expression and technique, understood here as material and structure, sometimes also the finishing method. In this area, we can see an evolution involving new materials and methods of their application. The particular relationship between the material and spiritual identity of art objects is a chance to keep up with modern times. In my opinion, if you can talk about the progress in this discipline of visual arts today, it takes place in a reciprocating way. The creators of every epoch strive for perfection (step forward). The high technical and artistic level bring about the temptation to stabilize and commercialize, which hampers development (step backwards). The need to “preserve the species” provokes questions about the root cause of continuing the practice (step back). Answers to this question already given in a slightly different reality and with the constantly evolving level of consciousness of weavers and their audience allow a tuning of artistic activity with its time (a step forward). The balance of these steps could show that the situation is in an unchanged position, but no, individual steps are not the same length. So, what is the current situation of this ancient discipline of human creativity? Thanks to new materials and technologies, the field is subject to development through annexing new means of expression. Today’s tapestry seems to underline that weaving skill itself is not enough. 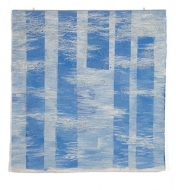 You must add something that the ancestors of contemporary artist weavers did not yet have. For this purpose, it is sometimes helpful to turn back to the beginnings and personally rediscover the elementary values of the textile. 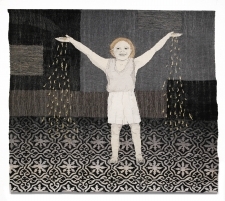 Only work undertaking such challenges can claim to be representative of contemporary tapestry. 4. Look for the “new” in ourselves! We are unique. With numerous inspirations found on the Internet, students often complain that it is difficult to come up with something new. That’s true, but they have chosen a difficult profession. The excessive expectation of doing something completely new is a source of powerlessness. The new does not arise from completely new atoms in a sterile vacuum. It is often the result of observation and attention directed to the known, changes in perspective, context, purpose of use or method of presentation. An approach of taking small steps is worth recommending. It is also worth not being attached to your own achievements, taking a step back and starting again without being burdened by your own previous experience. It will be evident when you find something authentic. The conviction that we are all (or we all can be) artists has found an extremely fertile ground in Textile Art. We must be careful. Not all exhibitions represent a comparable level. Democratization and equal access to information often leave their ugly imprint. The ease of manipulating an image of our work to make it show better is sometimes a temptation. But satisfaction with the success achieved in this way is doubtful. Everyone can weave and submit their works to exhibitions. 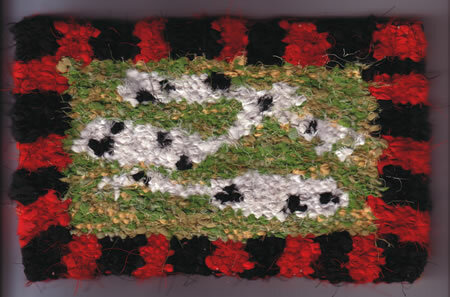 The task of those who ask – what is the field of creativity known as “tapestry” today? – is vigilant selection. Otherwise, textile art is in danger of being flooded with handicrafts. These can weaken even the best exhibition. 6. Let’s not isolate ourselves! Along with painters, sculptors, graphic artists and designers, let’s take part in creating the cultural heritage of our time. Let’s take a voice. Let’s confront each other. Let us be ourselves. We weavers! Professor Włodzimierz Cygan is a Polish textile artist renowned throughout the world for his technically innovative tapestries. 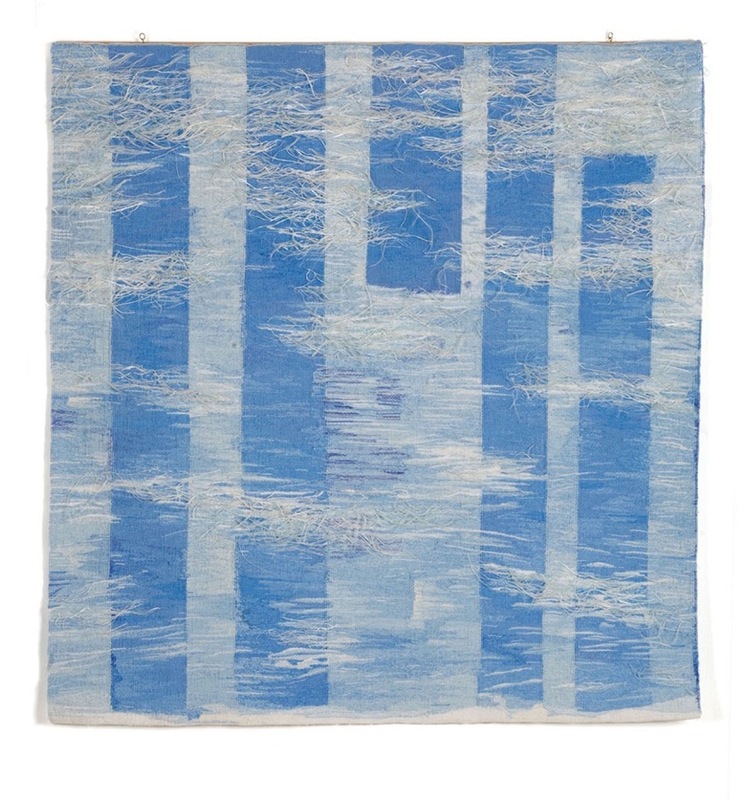 Cygan trained in Gobelin weaving in the 1970s, graduating with a Masters in Art, but he has long preferred to create his tapestries using a frame that gives him the freedom to warp radially. 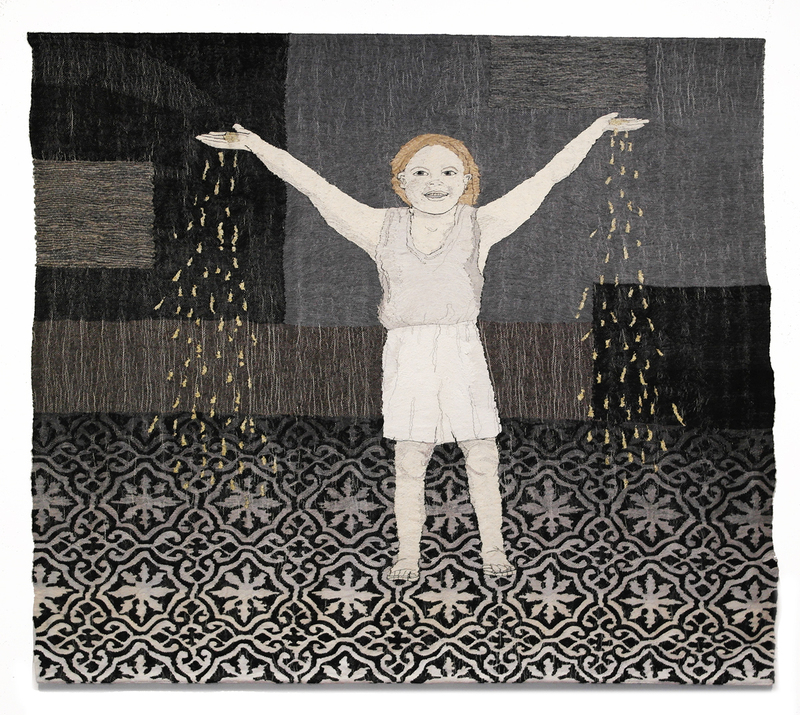 His honors include the Grand Prix at the 12th International Triennale of Tapestry in Lodz, Poland in 2007 and a bronze medal at the 6th International Fiber Art Biennale in Zhengzhou City, China in 2010. 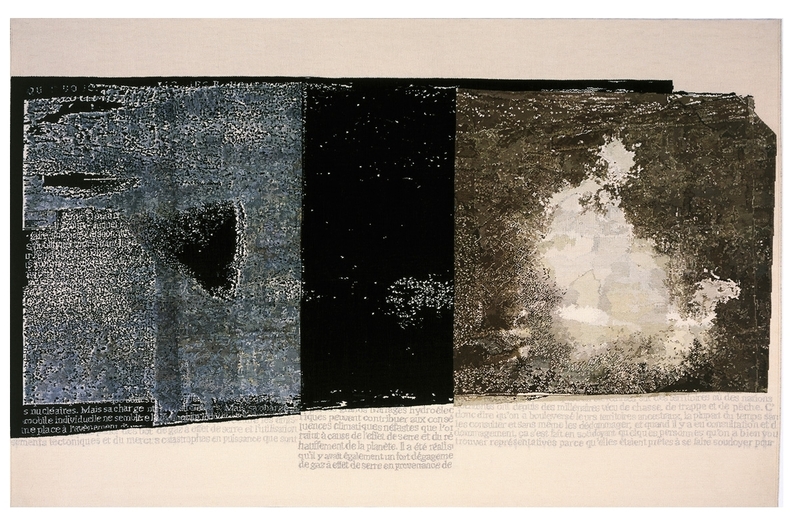 Cygan is a professor of textiles in the Strzeminski Academy of Fine Arts in Lodz.